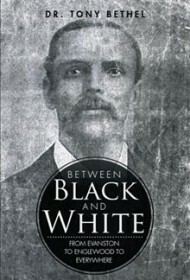 An African American man reflects on his place in the world in this earnest, if uneven, memoir. It’s probably of little significance that Alex Haley of Roots fame was a distant cousin, but Bethel decides he needs to figure out his ancestry to understand his place in the present: “I would say that in order to know your direction, you have to know where you have been,” he writes. What follows is a staccato account that hops around — from a peek at Bethel’s genealogical tree to his early career in the Navy and subsequent work as massage therapist and doctor of naprapathy (a branch of alternative medicine dealing with connective tissue through diet and other methods). As the book unfolds, we learn about Bethel’s personal life: his struggles to be a good husband, father and son, and his faith that guides him throughout. The account lurches from personal details to very brief statements about African American society and culture as a whole. His thoughts about black history, for example, hint at an author who might be capable of presenting a larger worldview, but Bethel only skims the surface, quickly reverting to mostly mundane and unnecessary life facts. Did we really need to know that he bought his gear for Antarctica at Uncle Dan’s in Evanston and K-Mart? In the end, it’s never clear what the memoir aims to be: an account of one person’s peripatetic life, a larger pronouncement on race relations or a dive into one’s roots. By trying to execute all these objectives, Bethel misses the mark on most, falling short of his grander goals.